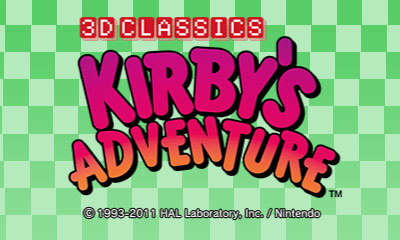 3D Classics: Kirby's Adventure offers you a chance to explore the world of Dream Land in a whole new way! 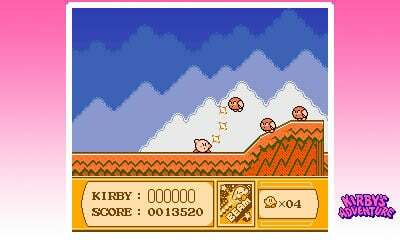 The landscape comes to life as Kirby™ crosses land, sea, and sky in his quest to restore the Star Rod! 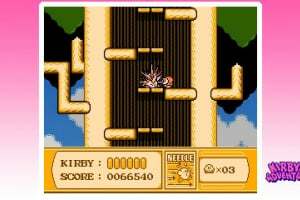 After waking from a dreamless sleep, Kirby goes to investigate the Dream Spring only to find that its source of energy has been stolen by King Dedede! 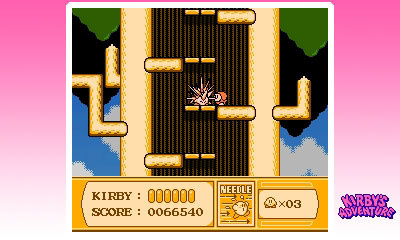 Broken and divided across seven worlds, Kirby will need to use his unique ability of stealing enemies' powers to battle his way and restore the pieces of the Star Rod! Without it, how can a hero fight another day if he can't get a good night's sleep?! Embark on this adventure as our beloved pink character tries to save the citizens of Dream Land from a lifetime of terrible nightmares! this will be out in NA the week after europe! The 3D effect is weak compared to in other 3D-Classics, but it still adds a lot of nice detail to the environment. The makeover isnt the best of the 3D-Classics, but the gameplay by far the greatest. Good game but I already have it on Wii VC and the GBA remake. 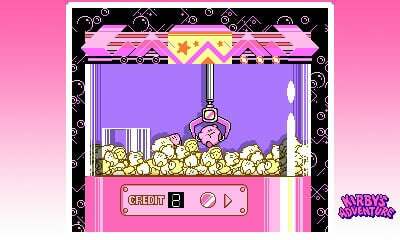 sweet, a kirby game for 3ds ware!!!!! where's the video, Nlife?! comeon! This is one of my favorite NES games, I would buy if I didn't have the Wii VC version. Can't wait to see the online video on the eShop though, so I can see the 3D effect. Just had it. First time ever to play a Kirby game and a really amazing game. To recommend to everyone. Very fun to play. 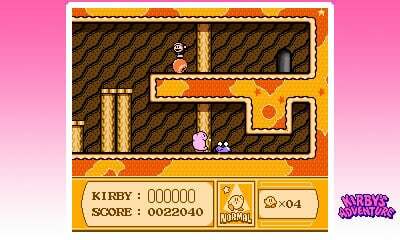 Kirby's Adventure as a 3D Classic is definitely a surprise because everything that came before it was either an arcade game or an arcade styled NES game. Also, NA/EU/AU got a 3D Classic before Japan for once. However, I hope this doesn't stop Nightmare in Dreamland from coming to the eShop as well if it ever starts selling GBA games. 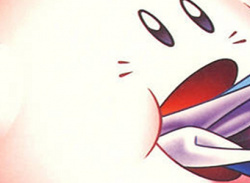 There are many games that have multiple versions of the same game on the Wii VC, and the biggest Kirby fans would buy both this and NiD anyways. Hilarious, I just got a toaster NES in the mail yesterday (was in a retro mood) and the first game I played was Kirby Adventure...then I go on the 3DS store today and boom...3D Kirby Adventure. Say what you will about the 3D element being unnecessary or underwhelming. I'd play this game a million and a half times with the slider up or down. I've shown this game to some people who end up being legitimately baffled by the fact that it is a NES game and not a SNES game. A smidgen of slowdown is the only giveaway. 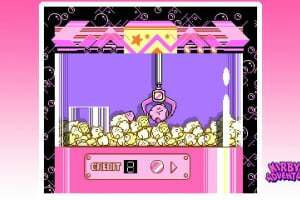 This is Kirby's first console game and arguably his finest moment. There's enough levels, secrets, mini-games and abilities to keep any gamer busy for quite a long time, but to me the general accessibility and play-ability is what makes this game so bomb. 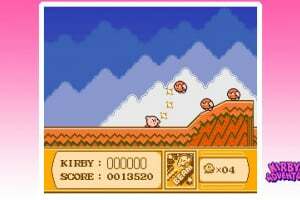 Kirby's Dreamland is the first console appearance of Kirby. 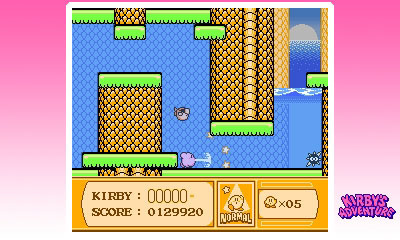 Kirby Adventure was Nintendo making demands to the design team to make an second game for the NES but since Nintendo does not have full rights or control over the official Kirby series, they can not call this game KDreamland2. 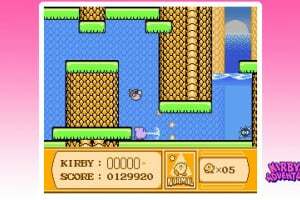 In fact this game was not made by the official Kirby team but another team. 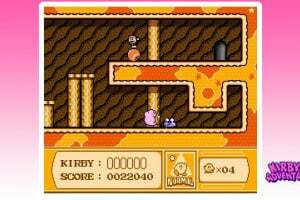 This game and every other non-numbered Kirby game have nothing to do with the official series at all.